In 1927, Zora Neale Hurston was a young writer, ten years away from releasing what would become her landmark work—1937’s Their Eyes Were Watching God. 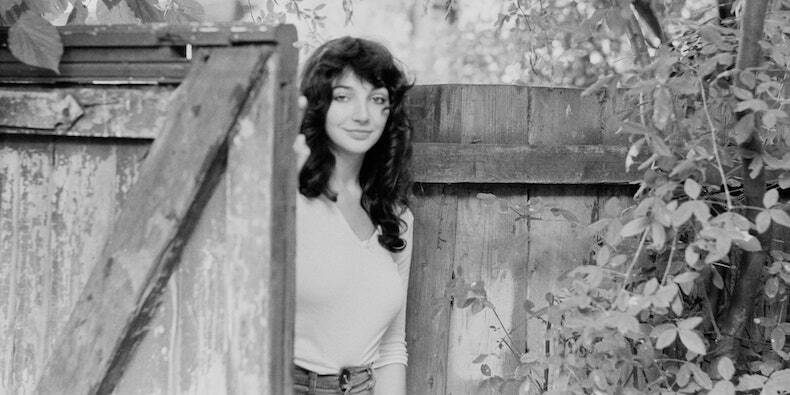 She had published a few poetry collections and written a screenplay, but had yet to make the mark she would eventually leave on the literary world. She was then an anthropologist, and her eager curiosity carried her to a town called Plateau, Alabama. Plateau was a community founded by Cudjo Kassula Lewis and other former slaves, three miles from Mobile. Cudjo was now eighty-six years old and nearing the end of his life. He was the last African survivor of the Clotilda, the final US slave ship to bring captives from Africa to the States; it had arrived in the summer of 1859 or 1860, carrying approximately 110 slaves. Cudjo had the rare opportunity to act as a living archive for writers and historians. He could tell richly layered stories about the raids on his West African village, and the traumatizing cross-ocean travel. Hurston went to Plateau a few times: twice in 1927, and then again in 1931, when she spent over three months there, talking in depth with Cudjo about the details of his life. The result of that work, penned in 1931 and only now being published, is Barracoon. (The title comes from the name for the enclosure in which black slaves were kept for transport.) The book is written partially from Cudjo’s perspective, from the hand of Hurston, who, although using his words as an account, is able to put a prose spin on the retelling. 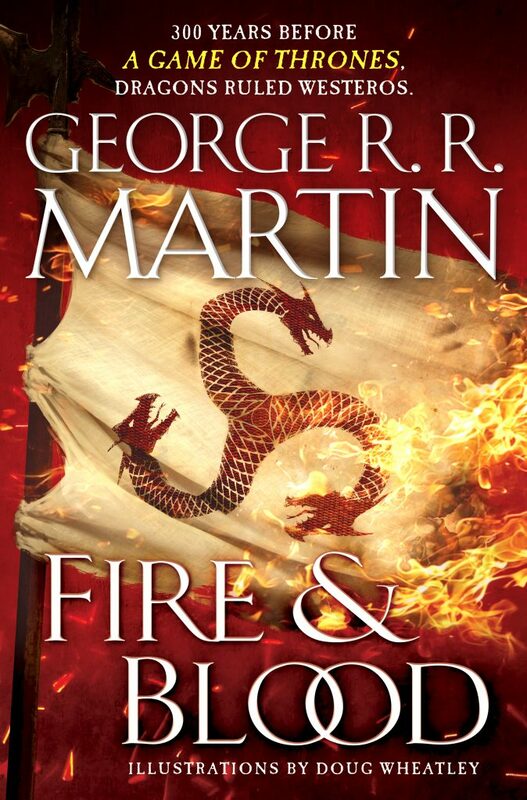 The text is not long—once one gets past the prefaces and the intros, the story itself is only ninety-five pages. Because she was working as an anthropologist, Barracoon presents itself as something of a scientific document, even though Hurston writes in the preface that it makes no attempt to be one. In that intro, she expands on her thoughts about the slave trade and what drew her to flesh out Cudjo’s story. The idea is that seeing America through the lens of the slave trade—despite its broad stain on the country’s history—is best done from the point of view of a single person who had their life forever altered by it. Barracoon, in many ways, pursues the slavery narrative in the same manner as the book and film 12 Years a Slave: it tracks slavery’s violence and aftermath through the words, memories, and history of a single person who survived it. Holding the book and reading it now, Barracoon seems ahead of its time, largely due to how it makes the story of slavery both intimate and viscerally visual, as Roots did most notably several decades after this manuscript was created. (The book’s visual, film-like nature also brings to mind the slave narratives—both true and rewritten—we’ve seen pop up in movies recently, to both acclaim and criticism: The Birth of a Nation, Django Unchained, the aforementioned 12 Years a Slave.) 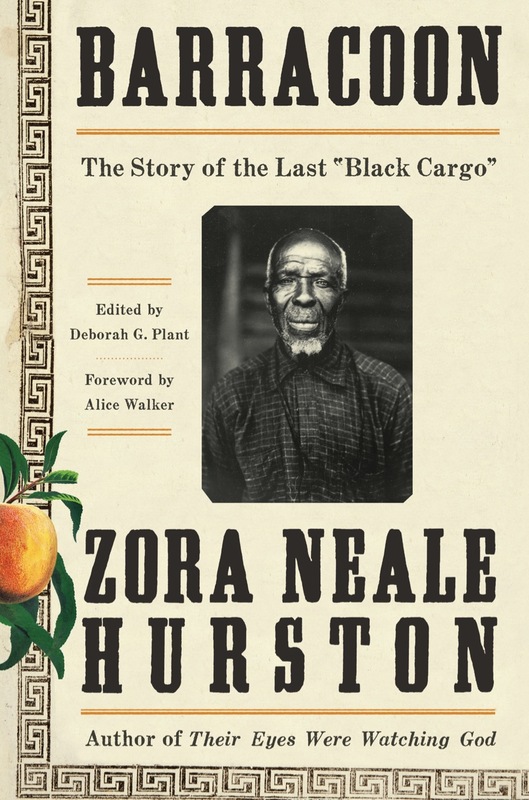 Part of this visual aspect is the work of Hurston, who richly describes the touchable moments meeting and interacting with Cudjo—from bringing peaches to his doorstep, to the sugarcane growing in his yard. Indigenous Peoples' Day, October 9, 2017, marks the public launch of the newly migrated and updated Archive of the Indigenous Languages of Latin America. AILLA is a digital language archive of recordings, texts, and other multimedia materials in and about the indigenous languages of Latin America. AILLA's mission is to preserve these materials and make them available to Indigenous Peoples, researchers, and other friends of these languages now and for generations to come. The look and feel of this new site has been updated, and some user functionality has been added, including the ability to perform a keyword search across all collections, as well as the ability to stream and view some media files without having to download them first. Access to AILLA and its resources is always free of charge. The heart of the collection is the recordings, both audio and video, in a wide range of genres: narratives, chants, oratory, conversations, songs, and more. Many recordings are transcribed and translated into Spanish, English or Portuguese. The archive also contains a wealth of language documentation materials: grammars, dictionaries, ethnographies, and field notes. The collection includes teaching materials for bilingual education and language revitalization programs. Die im Text erwähnten Informationen und Links zur EU-Datenschutz-Grundverordnung stehen unter https://www.boersenverein.de/de/portal/Datenschutz/1438969 zum Abruf bereit. Ein Leitfaden der EU-Kommission kann auf den EU-Webseiten abgerufen werden. 80 Jahre nach einer der größten von Nationalsozialisten inszenierten Bücherverbrennungen wurde am Freitag in Salzburg die Mahnmalskulptur präsentiert. Seit Jahren wurde ein Denkmal gefordert. Am Montag wird das Mahnmal am Residenzplatz enthüllt. Ziel des Entwurfs ist es, Menschen, die blind sind oder unter einer Seh- oder Lesebehinderung leiden, einen barrierefreien Zugang zu Literatur oder sonstigen Sprachwerken zu ermöglichen. Die Marrakesch Richtlinie wiederum dient der Umsetzung des Marrakesh Treaty, eine Vereinbarung, die im Jahre 2013 von den WIPO Mitgliedsstaaten unterzeichnet wurde. For a lover of musical theater and the Great American Songbook, entering the quiet precincts of the Performing Arts Reading Room at the Library of Congress is akin to sneaking into the cave of Ali Baba or King Tut’s tomb, a magical realm full of hidden treasures and unexpected gems. The weeks I spent there over the last three years, researching my new biography of Richard Rodgers and Oscar Hammerstein II, were a golden time. 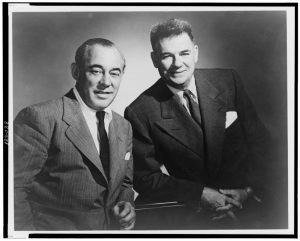 Richard Rodgers and Oscar Hammerstein, 1959. Am vergangenen Mittwoch hat ein türkisches Gericht mehrjährige Haftstrafen gegen führende Mitarbeiter der regierungskritischen Zeitung "Cumhuriyet" verhängt. Der Herausgeber Akın Atalay wurde zu acht Jahren, der Chefredakteur Murat Sabuncu und der Investigativjournalist Ahmet Şık zu je siebeneinhalb Jahren verurteilt, wegen ihrer angeblichen Unterstützung von Terrororganisationen. Die verurteilten Journalisten bleiben bis zu ihrer Revision in Freiheit. Vermutlich werden sie aber nicht das Land verlassen dürfen. Hier schreibt der ehemalige Chefredakteur der "Cumhuriyet", Can Dündar, wie er und Atalay vor anderthalb Jahren vor der Entscheidung standen, in die Türkei zurückzukehren oder ins Exil zu gehen. Lesen Sie hier das türkische Original. Der Text ist für die deutsche Version redaktionell leicht bearbeitet worden. Akın Atalay ist Geschäftsführer der Cumhuriyet, der ältesten Zeitung der türkischen Republik. Er ist Vorsitzender der Stiftung, die die Zeitung herausgibt. Als mich am 31. Oktober 2016 um 5 Uhr morgens die Nachricht weckte, unsere Häuser würden durchsucht, galt mein erster Anruf ihm. Er war längst auf den Beinen. Wir waren in einem Hotel in Köln gewesen anlässlich einer Feier. Seit Monaten war die Razzia erwartet worden, an diesem Morgen wurde sie durchgeführt, die Wohnungen von 16 Mitarbeitern der Zeitung, darunter Redakteure, Autoren, Reporter und Anwälte, wurden gestürmt. Die Polizei kehrte das Unterste zuoberst. The Haiku Foundation (THF) is a non-profit organization that aims to "preserve and archive the accomplishments of our first century of haiku in English, and to provide resources for its expansion in our next." On the foundation's Educational Resources page, K-12 and college educators will find resources for integrating haiku into the classroom. These resources are organized by grade level and are designed to complement existing language arts curriculum. Resources include lesson plans, classroom handouts, and "teaching stories" (reflections from educators who incorporated haiku into their classrooms). Most lesson plans on this website were designed by THF president Jim Kacian and by poet Ellen Grace Olinger, Ed.D. Additional lesson plans were contributed by poets Brad Bennett and Tom Painting. The Library of Congress's Moving Image Research Center offers a number of online resources that may appeal to teachers and students of film history. Visitors may want to start by exploring the links in the About the Collection section, where readers can find out more about what films are held in the LOC. For instance, the National Film Preservation Board page features a short synopsis of all films in the collection, along with a number of longer film essays penned by scholars and critics. Another highlight of this collection is the National Film Registry collection, available in the Digital Collections & Online Resources section. Here, visitors may view 63 film clips from movies that are part of the National Film Registry. These include a clip from the 1945 Frank Sinatra film The House I Live In and a clip from an 1897 filmed boxing match between James Corbett and Bob Fitzsimmons, which is considered to be the first feature-length film. Other film clips can be found in the Digital Moving Image collections, which features thematic exhibits such as "America at Work, America at Leisure: Motion Pictures from 1894- 1915" and "Buckaroos in Paradise: Ranching Culture in Northern Nevada, 1945-1982." From the University of California, Santa Barbara and the Santa Barbara Museum of Art comes this online exhibit dedicated to the 1938 journey of Wilber L. Cummings, Jr. (1914-1943) and F. Bailey Vanderhoef, Jr., who traveled from Kalimpong, India to western Tibet. As UCSB religious studies scholar Jose Ignacio Cabezon explains in the introduction to this exhibit, the pair hoped to "document the religious art and the famous 'lama dances' at the monastery of Palkhor Choede, located in the city of Gyangtse in western Tibet." Some of these photographs were published in a 1939 issue of Life magazine. This online exhibit consists of five parts. First, visitors may read the late Wilber Cummings's journal made available by his sister, Molly Cummings Minot Cook. Visitors may also read F. Bailey Vanderhoef's memoirs, which consist of fifteen chapters recounting the trip. Next, the exhibit features over 80 black and white photographs from the journey and eighteen full-color images of Tibetan art. Finally, visitors may view the route that Cummings and Vanderhoef took in the Maps of the Trip section. After my first sighting of Chez Baldwin in 2000, I traveled to other places important to the writer—from the streets of Harlem and Greenwich Village to Paris, to Istanbul, Ankara, and Bodrum—and met many people who knew him and shared living spaces with him, and who all confirmed his paradoxical need for a frantic nomadic lifestyle on the one hand, and, on the other, his fervent desire to establish a stable domestic routine in multiple locations. Intrigued by his late-life turn to domesticity as well as the increasing focus of his works on families, female characters, and black queer home life that are prominent in Just above My Head and The Welcome Table, I returned to Chez Baldwin in June 2014. By that time I had published a book on the writer’s Turkish decade and numerous articles about various aspects of his works. I was not prepared for what I saw in place of the house that had been full of furniture, books, papers, photographs, and art when I first saw and photographed it. 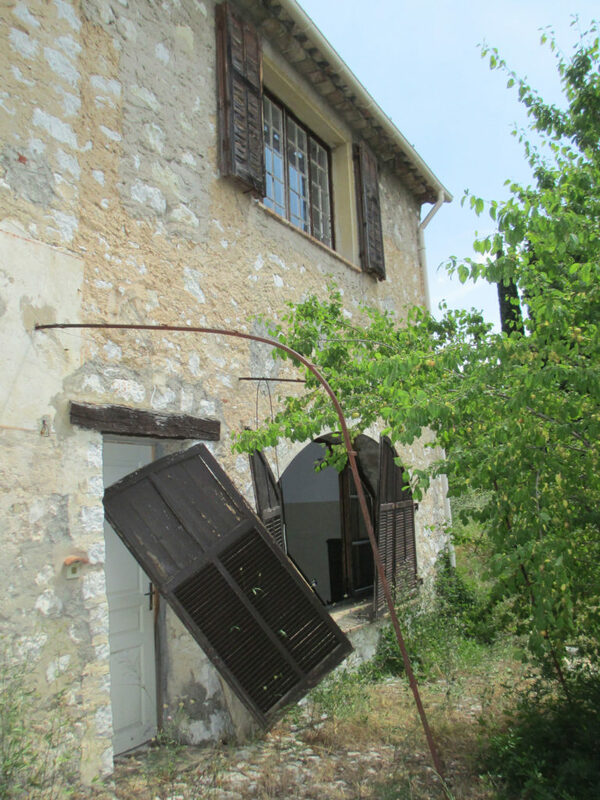 Now, I confronted an empty, disintegrating structure, virtually open to the elements, filling with vegetation and wildlife that had crept inside over the walls and windows. The back patio in front of the study, where Baldwin liked to take reading breaks at a round table under an umbrella, along with the brick and stone pathways through the garden were so overgrown with unchecked weeds that the crumbling structure of the house seemed to float on top of tall tan grasses swaying in the breeze. Full of sharp little burrs, this grassy expanse tugged at one’s shoes, attached its tiny hooks to fabric and straps, and scratched one’s skin as if attempting to deter movement. An occasional orange tree hung with bright fruit flashed amid the tangled greenery and dried branches, as if to recall the harmony between natural bounty and human husbandry that once existed here. Outside the writer’s study, 2014. Photo by Magdalena J. Zaborowska. In rund vier Jahrzehnten Forschungsarbeit konnte der gesamte, vorwiegend mittelalterliche Handschriftenbestand der Universitäts- und Landesbibliothek Tirol in Kooperation mit der ÖAW erschlossen werden. Dieser bedeutende Bestand des kulturellen Erbes Österreichs ist nun sowohl analog als auch digital über manuscripta.at zugänglich. Vertreter aus Wirtschaft und Wissenschaft sowie von Bürgerrechtsorganisationen laufen gegen die europäische Reform des Urheberrechts Sturm. In einer parteiübergreifenden Initiative fordern Europaabgeordnete die Bundesregierung auf, sich in Brüssel gegen Uploadfilter auszusprechen. Der Deutsche Bibliotheksverband e.V. (dbv) ist Mitunterzeichner des Offenen Briefes an den Europaabgeordneten Axel Voss (CDU) und weitere EU-Parlamentarier zu Artikel 11 des Entwurfs einer Richtlinie zum Urheberrecht im digitalen Binnenmarkt. Gemeinsam mit einem breiten Bündnis aus mehr als 50 europäischen Einrichtungen, Unternehmen und Start-ups, Journalisten und Bibliotheken, Presseverlagen und zivilgesellschaftlichen Organisationen wendet sich auch der dbv damit gegen ein europäisches Leistungsschutzrecht für Verlage und Nachrichtenagenturen. Nach Meinung der Verfasser wird der vorgeschlagene Artikel 11 weder Qualitätsjournalismus fördern noch einer freiheitlichen Presse dienen. Empirisch belegt wird dies durch die entsprechenden Ansätze in Deutschland und Spanien. Auch zahlreiche Untersuchungen zeigen, dass der Vorschlag negative Auswirkungen auf die Nachrichtenindustrie und den Zugang zu Informationen hat. Das Bündnis fordert daher zur Wahrung der Verhältnismäßigkeit, den vorgeschlagenen Artikel 11 zu streichen und stattdessen eine rechtliche Vermutungsregel in Betracht zu ziehen, wie sie bereits von führenden UrheberrechtlerInnen Europas vorgeschlagen wurde. Auf dem freien Markt hätte Siegfried Lämmle, ein Vielfaches für seine Sammlerstücke erhalten. Doch der 1863 in Laupheim geborene Lämmle, der in München eine Kunst- und Antiquitätenhandlung betrieb, musste 1935 wie alle jüdischen Kunsthändler sein Geschäft aufgeben. Er war gezwungen, seine Kunstobjekte deutlich unter Wert zu verkaufen. Nun haben Lämmles Erben zumindest sieben dieser Objekte zurückerhalten. Das Stuttgarter Landesgewerbeamt erwarb 1936 und 1937 die kunsthandwerklichen Stücke aus Lämmles Besitz. In den 60er Jahren gelangten sie ins Landesmuseum Württemberg. Cornelia Ewigleben, Direktorin des Landesmuseums, und Claudia Rose vom Ministerium für Wissenschaft und Kunst haben die sieben Stücke an Lämmles Urenkelin zurückgegeben. Das Landesmuseum ist auf die Objekte - Gefäße aus dem 16. bis 18. Jahrhundert - im Zuge seiner Provenienzforschung gestoßen. Siegfried Lämmle emigierte 1938 in die USA, wo sein Bruder Carl Lämmle bereits lebte und die Universal Picture Studios gegründet hatte. Siegfried Lämmle eröffnete in Los Angeles eine Galerie, er starb 1953. Tausende Burgen zeugen von der bewegten und über Jahrhunderte kleinstaatlichen Geschichte Deutschlands. Das Europäische Burgeninstitut in der ehemaligen Philippsburg in Braubach am Mittelrhein sammelt in seiner Datenbank Ebidat ihre Geschichten. Mit Bildern, Grafiken und Zeichnungen werden auf der Website zahlreiche Schlösser und Burgen in Deutschland sowie in Dänemark, Finnland, den Niederlanden, Österreich, der Slowakei, Tschechien und Ungarn vorgestellt. Auch Lettland ist mit seinen Ordensburgen vertreten. Die Bauwerke, ihre Bauentwicklung und auch die Geschichte ihrer Bewohner werden erzählt. Bei vielen Datenbankeinträgen gibt es auch weiterführende Informationen wie Quellenbelege, Literaturhinweise, Besichtigungszeiten und Tipps für die Anreise. ein neues, mehrsprachiges Video über die Veste Coburg, mit der Besucher durch die Jahrhunderte reisen und erfahren können, wie sich die Veste je nach strategischer Bedeutung verändert hat. Für die auf Deutschland bezogene Finanzmarktforschung ist der "Aktienführer" eine wichtige Forschungsdatenquelle. Von 1956 bis 1999 erschien er jährlich in gedruckter Form – zunächst im Verlag Saling, später im Verlag Hoppenstedt. Ab 2000 erschien er dann bis 2018 auf CD-ROM. Der Aktienführer enthält in standardisierter Form Berichte über deutsche und ausländische Aktiengesellschaften, die an einer deutschen Börse gehandelt werden bzw. wurden. In den Berichten finden sich u. a. Informationen und Daten zum Firmensitz und Vorstand, zu Tätigkeitsbereichen und Beteiligungen, zur Aktionärs- bzw. Kapitalstruktur und zu wesentlichen Positionen der Bilanz sowie Gewinn- und Verlustrechnung. Saling's Börsenpapiere sind inhaltlich gesehen die Vorgängerpublikation des Aktienführers. Sie erschienen 1870-1934, teilweise in mehreren Bänden. der Bibliothek des Deutschen Bundestags. Die Universitäts- und Stadtbibliothek (USB) Köln und das GESIS Leibniz-Institut für Sozialwissenschaften haben das Soziologie-Portal SocioHub für Wissenschaftlerinnen und Wissenschaftler entwickelt. Mit dem Dienst können angemeldete Nutzerinnen und Nutzer sich auf direktem Weg austauschen, Literatur suchen und ab 2019 eigene Publikationen bereitstellen und archivieren. Hintergrund ist der Gedanke, eine zentrale Einstiegsseite für die soziologische Fachcommunity zu schaffen und eine bessere Literaturversorgung zu ermöglichen. SocioHub bietet umfassende Recherchemöglichkeiten im Fachbereich Soziologie. Daneben ermöglicht die Plattform nicht nur Einzelpersonen, ein Profil anzulegen, sondern gibt auch Forschungsteams und zum Beispiel den Sektionen der Deutschen Gesellschaft für Soziologie (DGS) eine Präsenz. Digitale Werkzeuge wie Kalender, Leselisten, Newsfeeds, Forum oder eine Umfragefunktion erleichtern die gemeinsame Arbeit an Forschungsthemen. Für 2019 ist zudem ein Dienst geplant, der Nutzerinnen und Nutzern die Zweitveröffentlichung ihrer Arbeiten als Open Access-Dokument erleichtern soll. Das Projekt entstand im Rahmen von Fördermitteln der DFG für den Fachinformationsdienst (FID) Soziologie. Der FID Soziologie ist seit 2016 an der USB Köln angesiedelt und knüpft auch an die langjährigen Erfahrungen der USB als Standort des ehemaligen Sondersammelgebiets Sozialwissenschaften an. Das Portal ist erreichbar unter http://www.sociohub-fid.de und startet zunächst als Beta-Version, die kontinuierlich weiter entwickelt wird. Das von der DFG geförderte Projekt „NatHosting II“ stellt im Rahmen einer bundesweit abgestimmten Lösung den dauerhaften und störungsfreien Zugriff auf lizenzierte, digitale Publikationen unabhängig von Verlagsplattformen sicher. Die erworbenen elektronischen Ressourcen aller teilnehmenden Bibliotheken sollen nach dem Ende einer Subskription ebenso abrufbar bleiben wie bei temporären Ausfällen von Verlagsservern oder dem kompletten Ausscheiden eines Verlags aus dem Markt. Über einen doppelten Boden („Hosting“) springt „NatHosting“ in diesen Fällen für die Verlagsplattform ein und ermöglicht den störungsfreien Zugriff auf die lizenzierten Inhalte. Wer bei einem Wissenstest zunächst Vermutungen äußert, was die richtigen Antworten sein könnten, kann sich das abgefragte Wissen anschließend besser einprägen. Insbesondere wenn sich die Vermutungen als falsch herausstellen. Das ist das Ergebnis einer neuen Studie des Deutschen Instituts für Internationale Pädagogische Forschung (DIPF) und der University of California, Berkeley, die jetzt im Fachmagazin Learning and Instruction veröffentlicht worden ist. Wie die Forscherinnen und Forscher zeigen, ist es wohl das Überraschungsmoment, wenn die eigenen Vorhersagen nicht eintreffen, das für den größeren Lernerfolg verantwortlich ist. Die Initiative FAIR Open Access Alliance (FOAA)  möchte das wissenschaftliche Publikationswesen auf eine andere Grundlage stellen und hat dazu fünf Prinzipien formuliert. Open Access – was einst als Bewegung begann, um den Zugang zu wissenschaftlicher Literatur zu verbessern – ist mittlerweile zu einem Geschäftsmodell für Verlage geworden. Das führte zu Problemen wie die teilweise als sehr hoch empfundenen Publikationsgebühren oder hybride Zeitschriften und der damit aufgekommene Verdacht, dass durch Publikationsgebühren generierte Einnahmen nur unzureichend mit den Subskriptionsgebühren verrechnet werden (Double Dipping). Das Subskriptionsmodell sorgt zudem mit jährlichen Preissteigerungen und intransparenten „Big Deals“ für zusätzlichen Unmut in der Bibliothekswelt und bei Wissenschaftlern. 1) Eine wissenschaftliche Zeitschrift hat eine faire Eigentümerstruktur, die jeweilige wissenschaftliche Community zeichnet für die Zeitschrift verantwortlich. FOAA spricht sich dafür aus, dass wissenschaftliche Zeitschriften in die Hände der wissenschaftlichen Communities gelegt werden und idealerweise im Besitz von Non-Profit-Organisationen oder Fachgesellschaften sind. Verlage sollten sich ausschließlich auf das Erbringen der Publikationsdienstleistung konzentrieren und keinerlei inhaltlichen Einfluss nehmen. Dies würde den Wettbewerb zwischen den Verlagen wiederherstellen. Rechtsstreitigkeiten zwischen Herausgebern und Verlagen darüber, wem die Zeitschrift gehört, würden hinfällig. Zeitschriften im Verlagsbesitz können jederzeit ihr Geschäftsmodell ändern, was als problematisch gesehen wird. Zeitschriften, die sich im Besitz der wissenschaftlichen Community befinden, erlauben ihre stärkere Einbeziehung in strategische und inhaltliche Belange. 2) Autoren behalten die Nutzungsrechte. Im Idealfall sollten auch die Gutachter die Rechte an ihren Peer-Review-Berichten behalten. Die Beteiligten sollten grundsätzlich nicht von der Nutzung ihrer eigenen Arbeit ausgeschlossen werden. 3) Die publizierten Artikel sind frei verfügbar, nachnutzbar und werden mit einer Open-Content-Lizenz versehen. Diskussionen über den Grünen und Goldenen Weg des Open Access würden so überflüssig. FOAA empfiehlt die CC-BY-Lizenz oder eine vergleichbare Lizenzierung, die umfangreiche Nutzungsmöglichkeiten einräumt. 4) Die Möglichkeit zur Einreichung und Veröffentlichung von Artikeln ist nicht abhängig von der Zahlung einer Gebühr durch Autoren oder deren Einrichtungen noch von einer Mitgliedschaft. Gebühren sollten nicht von den Autoren oder ihren Einrichtungen gezahlt werden. Die Finanzierung der Zeitschrift sollte grundsätzlich auf eine andere Grundlage gestellt werden, z.B. durch einen Zusammenschluss von Institutionen wie Universitäten oder durch die Übernahme der Finanzierung seitens der Forschungsförderung. FOAA schlägt vor, dass diese Beiträge in einen Fonds statt direkt an die Verlage gezahlt werden. Durch die Umstellung der Finanzierung könnte Predatory Journals die Grundlage für ihr zweifelhaftes Geschäftsgebaren entzogen werden. 5) Gebühren, die an Verlage gezahlt werden, sind möglichst niedrig und transparent zu gestalten und sollten in einem angemessenen Verhältnis zur erbrachten Leistung stehen. FOAA hält Gebühren für das Erbringen von Publikationsdienstleistungen in Höhe von 0-500 US-Dollar für gerechtfertigt. In Disziplinen, in denen umfangreiche Satzarbeiten und Korrekturen durchgeführt werden müssen, seien Gebühren von maximal 1.000 US-Dollar tolerabel. Diese Prinzipien, würden sie umgesetzt, führen zu einer Entkoppelung des Besitzes einer Zeitschrift und der Zuständigkeit für ihre Inhalte einerseits und des Erbringens von Publikationsdienstleistungen für diese Zeitschrift andererseits. Ersteres läge in den Händen von Non-Profit-Einrichtungen oder Fachgesellschaften, letzteres bliebe bei den Verlagen, die als Dienstleister beauftragt würden. Die Artikel sollten nach der Maßgabe des Open-Access-Prinzips frei verfügbar sein. Die angestrebten weitreichenden Veränderungen sind aus Sicht der FOAA notwendig, weil die gegenwärtige Praxis viel zu ineffizient sei. Bibliotheken wie Autoren finanzierten teilweise die problematischen Systeme der Verlage mit (z.B. zur Aufrechterhaltung eine Paywall oder den Vertrieb). Zudem sei ein dysfunktionaler Markt entstanden, auf dem Verlage nicht miteinander konkurrieren, weil sie das Monopol an einzelnen Zeitschriften haben. Bibliotheken könnten sich damit nicht einfach an einen anderen Anbieter wenden, um eine bestimmte Zeitschrift zu beziehen. Das Subskriptionssystem lasse Kosten von bis zu 5.000 US-Dollar pro Artikel entstehen. Ein „Switch“ zu Open Access und die Einführung veränderter Zuständigkeiten würde zu bedeutenden Einsparungen führen. Diese Gelder seien nach Ansicht der FOAA-Initiatoren besser in Projekten angelegt, die die Zugänglichkeit und Auffindbarkeit wissenschaftlicher Literatur verbessern. Nach Ansicht der Allianz sollten bestehende Zeitschriften im Idealfall zu der im Prinzip 1) beschriebenen Struktur wechseln und nicht neu gegründet werden, weil sonst keine Entlastung für das Budget der Bibliotheken erreicht würde (da die Zeitschriften im Verlagsbesitz weiterhin abonniert werden müssten). Zudem ließe sich das Prestige einer Zeitschrift auf diese Weise „vererben“, indem das Editorial Board die Veränderung mitträgt oder sogar anstößt. FOAA hält an der Grundidee fest, dass wissenschaftliche Ergebnisse in Zeitschriften publiziert werden. Eine Zeitschrift sei als Referenzpunkt wichtig, unter anderem um aufzuzeigen, welche Artikelversion die gültige ist, und um die Sichtbarkeit und Auffindbarkeit einer wissenschaftlichen Publikation zu garantieren.